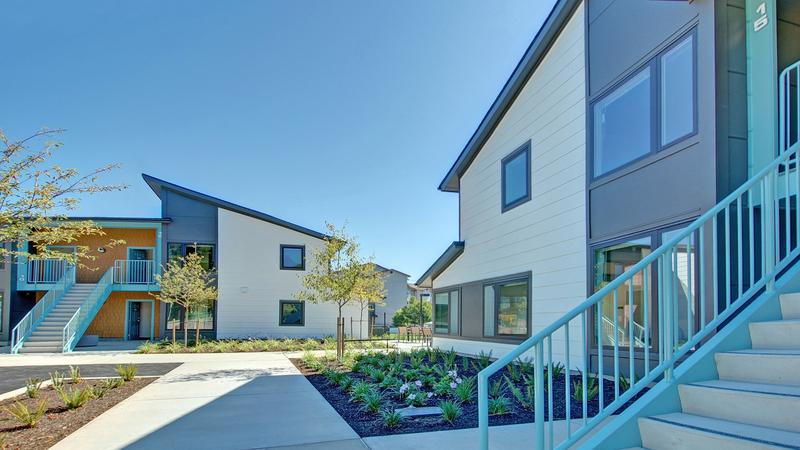 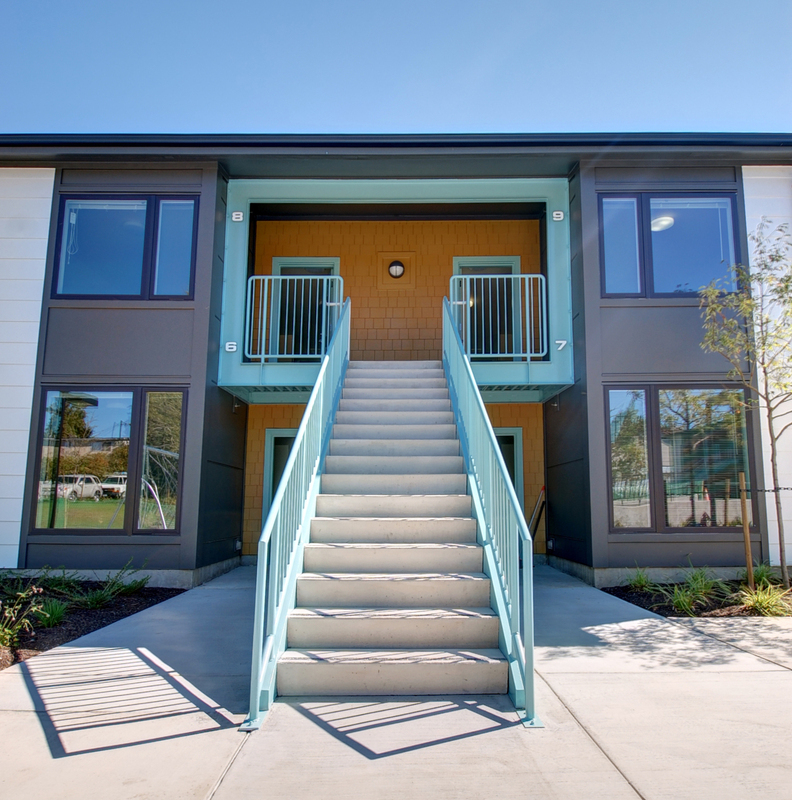 Pivotal point is a 20-unit apartment building that allows moms and children to make the important transition from a domestic violence shelter to independent living. 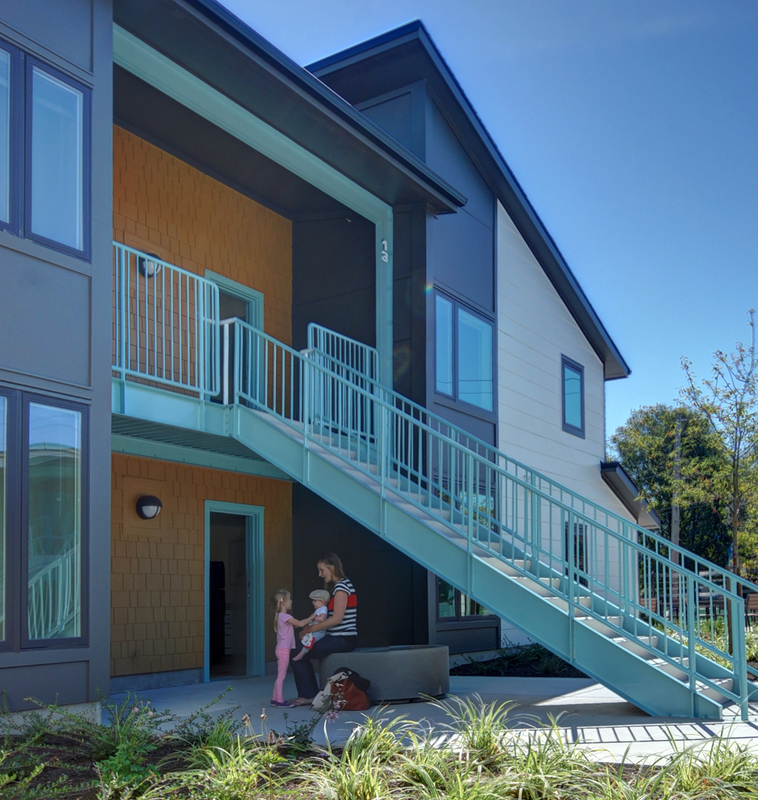 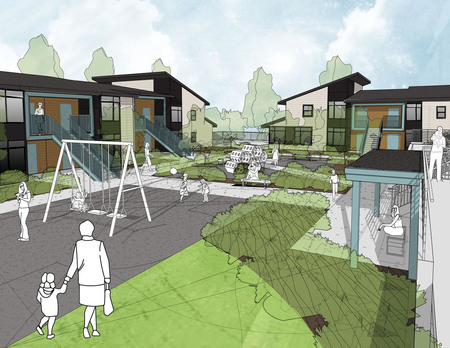 Supported by a local non-profit agency, the apartments provide space for families to create better lives and increase the likelihood of finding a greater sense of normalcy. 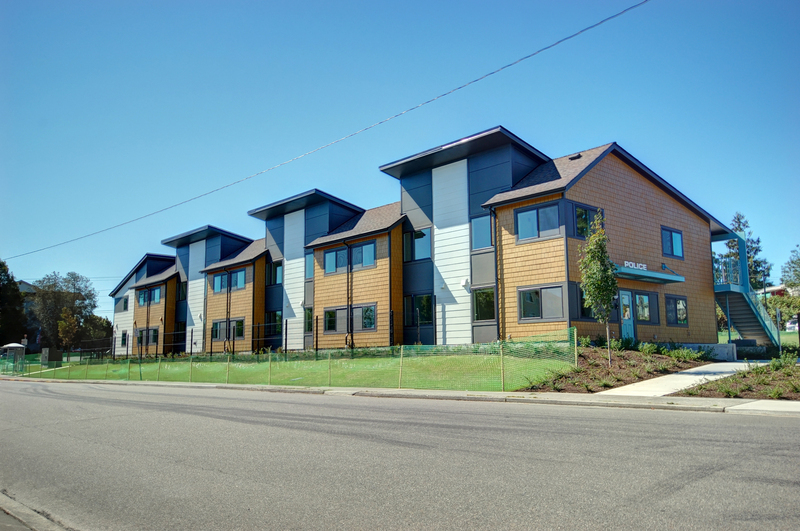 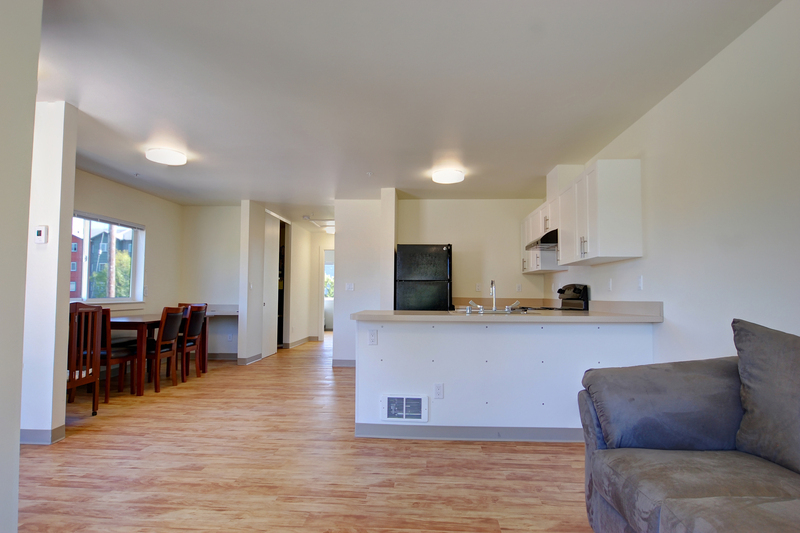 Pivotal Point Apartments includes 1, 2, and 3 bedroom apartments units with shared laundry facilities, interior and exterior community amenities, and administrative offices for EHA and Everett Police Department personnel. 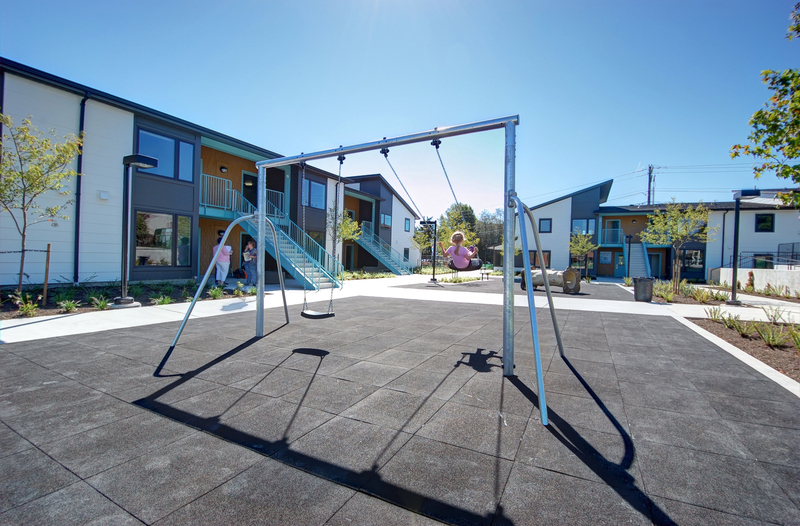 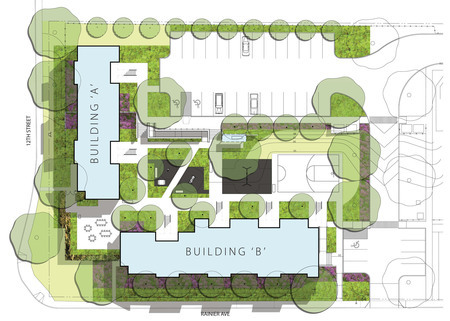 The buildings are set at the corner to provide a protected playground and gathering space for the residents. 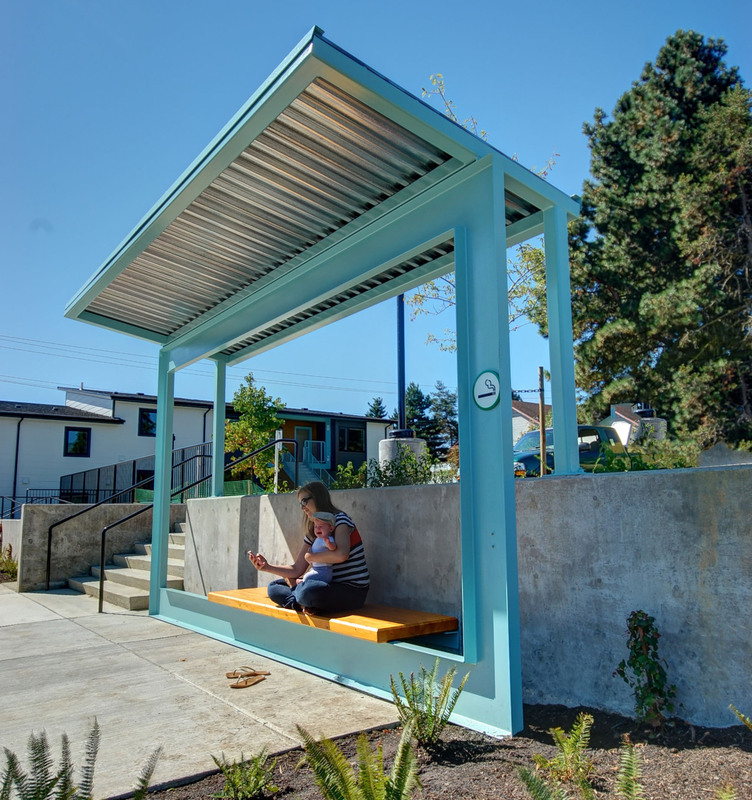 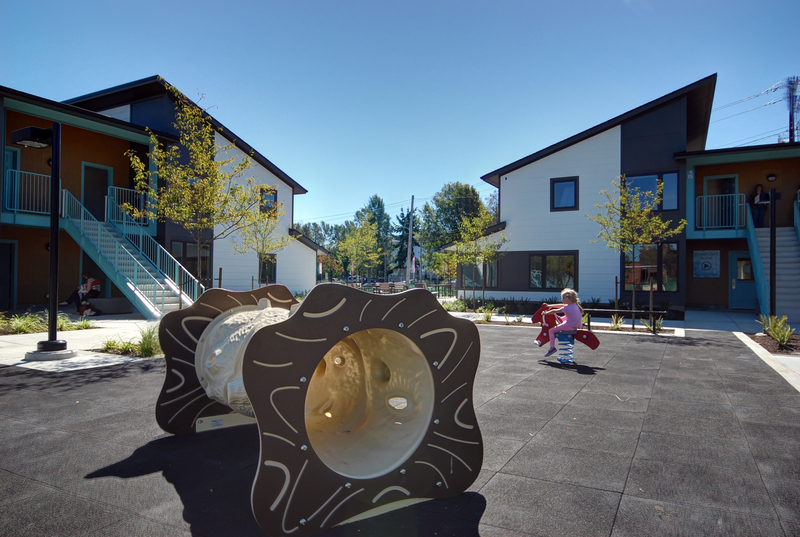 The project was designed to exceed the State of Washington's Department of Commerce Evergreen Sustainable Development Standards with the primary aim to provide a stronger, more integrated safety net for survivors of domestic violence in Snohomish County.